There is really a lot going on in the world today and so much of it is hard to swallow. 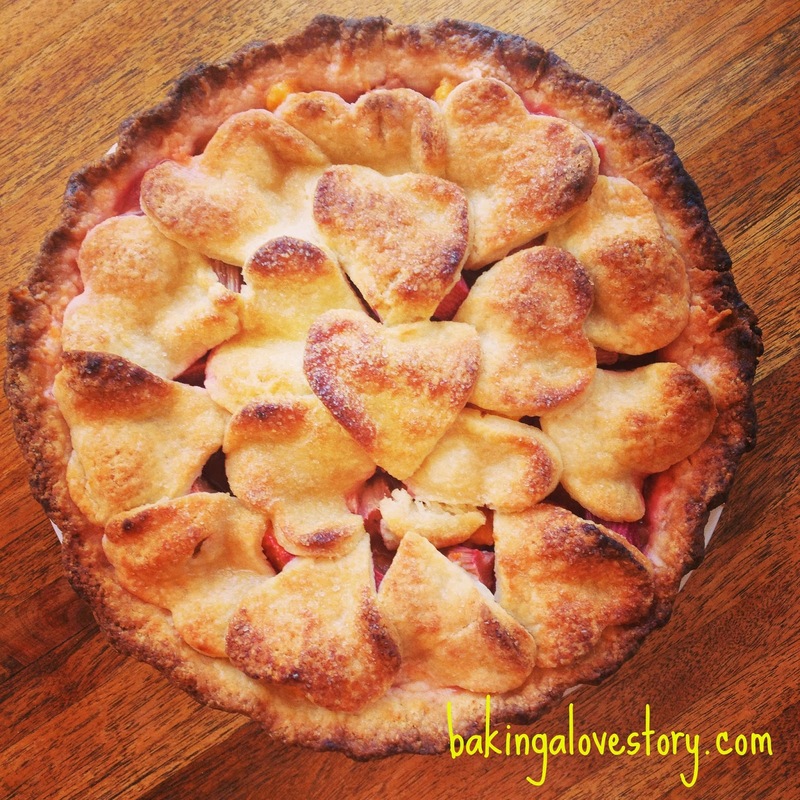 Perhaps that's part of being a baker: making the swallowing a bit sweeter and easier to do. It doesn't hurt that it's quite pleasant to have the homemade scent of just-baked cookies wafting through the house. For all the fun things I bake, the one thing I make every single week (just ask my family) is chocolate chip cookies. Sometimes I make them with rye flour, or sometimes they're all chocolate, but, my go-to hero recipe comes from Jessica Seinfeld's most recent cook book "The Can't Cook Book." Let me tell you, this recipe is easy (apparently Mrs. Seinfeld's kids whip these up on their own) and downright delicious. Her recipe incorporates whole wheat flour for body and a combo of baking soda and baking powder for a reliable rise. Chocolate chip cookies are the pinnacle dessert. Vanilla and chocolate with a teeny salty finish, there really is nothing better. Tender, soft and melty on the inside, it has the most perfect little crunch as you take a bite. And then another. And another. And so on. I bake these big. They turn out splendidly either way, but I like a big cookie because you get more gooey center that way. These are so good and so easy, they may just become a weekly tradition for you! Preheat the oven to 350 and line a baking sheet with parchment. Set aside. Beat the butter until smooth, about one minute. Add the sugars and beat again until the mixture is fluffy, about 2 minutes. Add the egg and blend just until incorporated. Add the vanilla and do the same. Pour the dry ingredients over the batter and beat until incorporated. Stir in the chocolate chips. 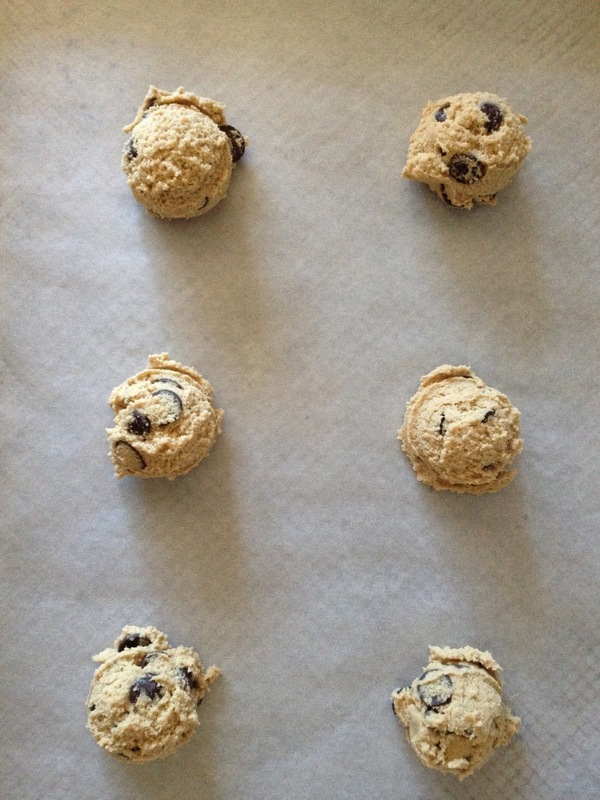 Drop the dough by tablespoonsful (I use a small ice cream scoop like this one) onto the cookie sheet and bake for 12-14 minutes, until the edges are browned but the centers are still soft. 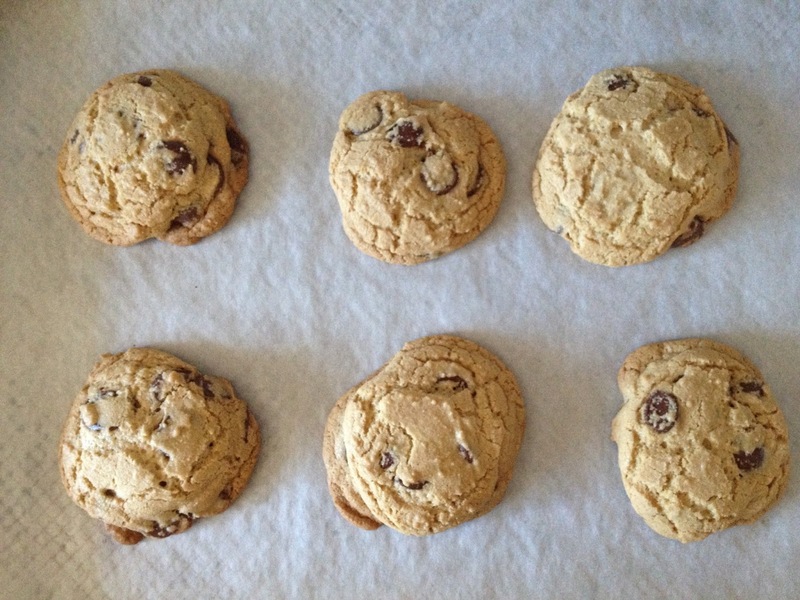 You can always underbake chocolate chip cookies if you prefer the gooier center, as I do. In that case, bake them 11-12 minutes and pull them out. 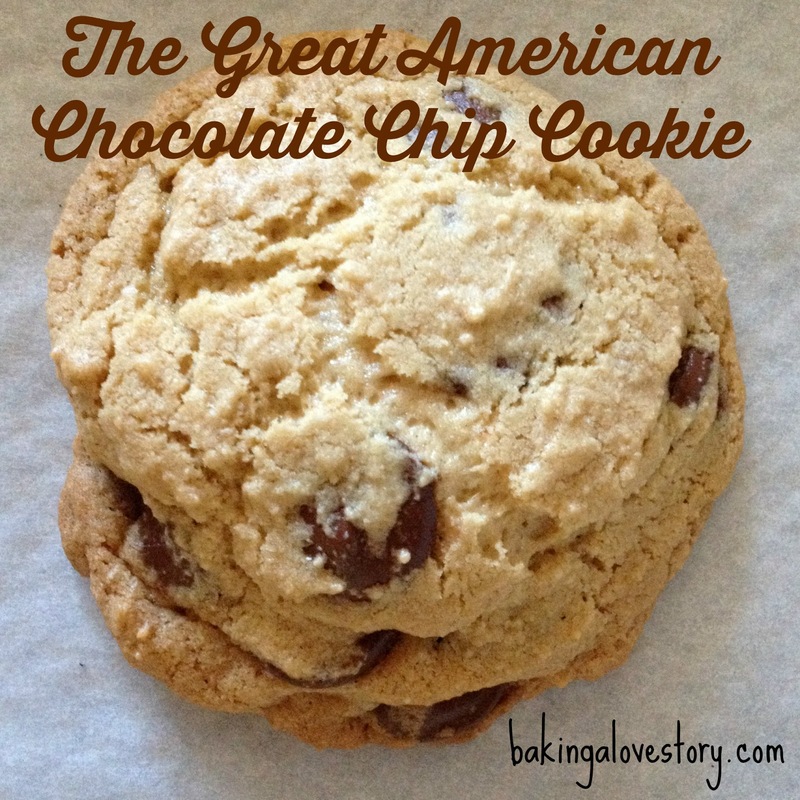 Enjoy the yummy scent and unbelievable perfection of a warm, freshly baked chocolate chip cookie! Well, hello, Party People! As we come upon our nation's day of independence - an excellent reason for a day off - we see all kinds of berry desserts in flag formations complete with genoise or chiffon cake and whipped cream. 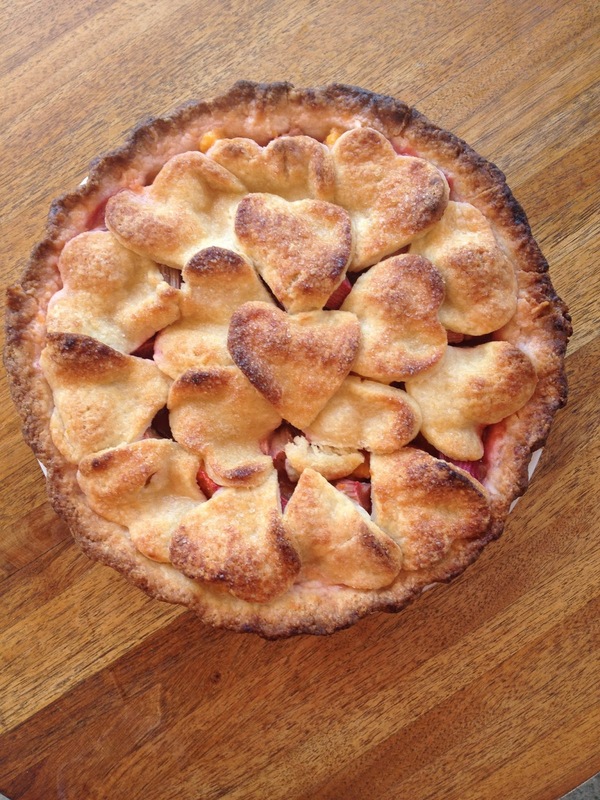 This one from Martha Stewart might just be the original, but this one from Smitten Kitchen is nearly perfect and photographed expertly or dessert queen Ina Garten has one, too. 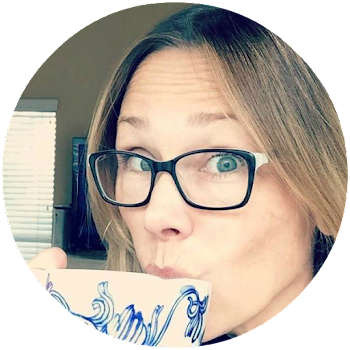 Since these recipes are so awesome, so delicious, I just had to share something different with you. I've been working on sauces lately and my greatest challenge has been caramel. The thing about caramel is that sometimes it can get overcooked resulting in a candy-like consistency or it can get undercooked resulting in decent flavor but a buttery color that is just too light. 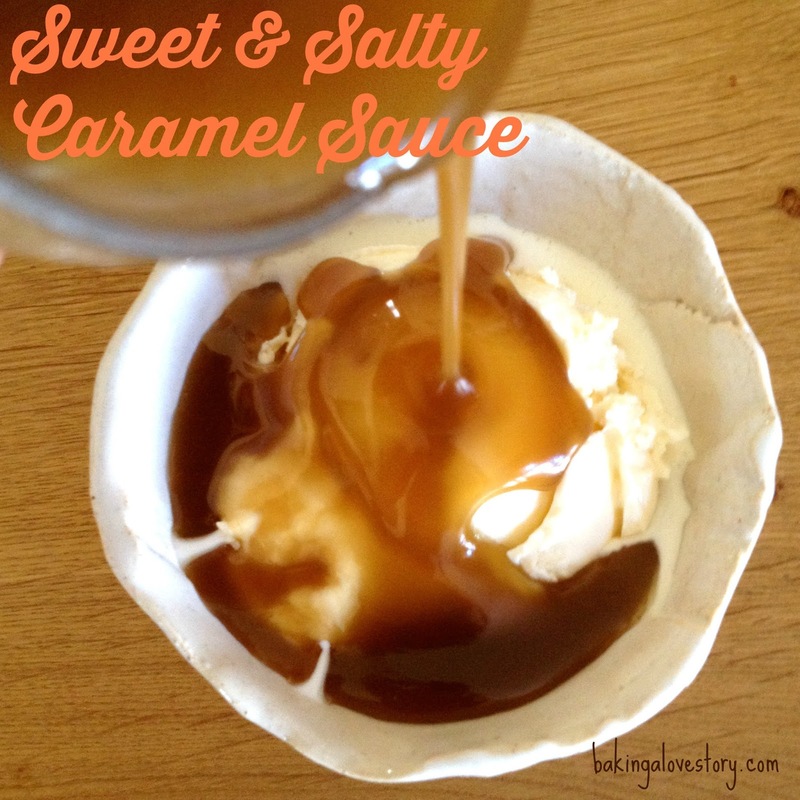 Don't you want your caramel sauce to have a nice, brown sugar-esque color, taste of butter, sugar and salt and pour perfectly? Yeah, me, too. It's not easy (for me)! 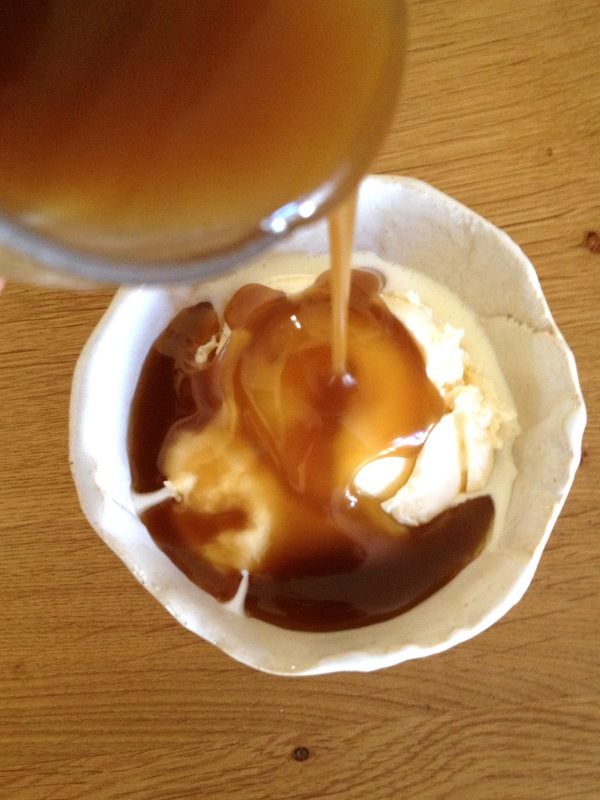 Fun fact: did you know that there are many, many versions of caramel sauce that are named Liquid Gold? When I was breastfeeding, that term had a whole different meaning, but I can see how it fits a good caramel sauce. Elusive, pretty and deeply rewarding in flavor, the maker of a good caramel may just feel as though she has struck gold right there in her All-Clad 4 quart pot. Not that you need this particular pot and I am not paid by advertisers or anyone else to blog (at least, not yet! ), but, I make everything from sauces to brownies to pasta in this pot. I recommend it highly. So, anyway, like any good sugar addict pastry lover, I was reading the Tartine Cookbook and found this gem of a recipe at the back of the book. I tried it. Roughly 4 times. And it's been good each time, with caveats. Like I said, sometimes it's too thick, sometimes too runny. I'm getting there. 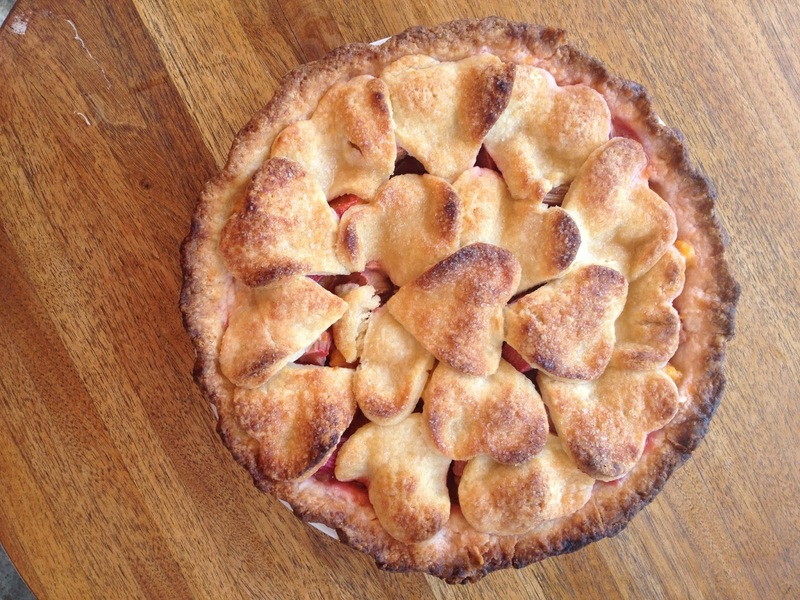 But each time I've made it, it has been superb in flavor. We've discovered that the faster we use it, the better. So, if you're having ice cream at your soiree this weekend, whip up a batch before the guests arrive and keep it on the counter until you serve it. That way, even if it's not perfect, it'll seem perfect. Sure, you could do that thing where you put a can of sweetened condensed milk in the slow cooker for 8 hours, but this sauce is heaven. It will wrap itself around your tongue, melting there and cause a reverie on your taste buds. Why did it take me so long to tell you that? Because that's how patient you'll need to be if you want to be successful at this sauce. Elisabeth Prueitt and Chad Robertson, I did my best to do your thorough and most helpful instructions and recommendations justice, but I very highly recommend to my readers to buy the Tartine books (again, not paid to endorse. Just LOVE them) and use them. Daily, if you can. Warm the cream & vanilla extract or bean in a heavy saucepan until just before it boils. Reduce the heat to low to keep the cream warm. In your 4 quart stock pot or other medium-to-large heavy saucepan/pot, combine the sugar, water, salt and corn syrup and bring to a boil over medium heat, stirring to dissolve the sugar. Once the mixture is at a boil, cook it without stirring until the mixture is amber colored, 5-8 minutes. You really kind of have to stand there and watch every second. One second the mixture will be clear, the next, yellowish and then, all of a sudden, it takes on that brownish tint. Remove it from the heat immediately as it continues to cook from there. Carefully and slowly add the cream. The photo in step 4 above does not show how vigorously the cream will cause the mixture to boil up, creating hot steam and lots of caramel drama. Keep stirring until it all calms down and then whisk until smooth. Stir in the lemon juice. Let sit for 10 minutes. Meanwhile, take out the butter and cut it into chunks if you have not already done so. When the 10 minutes is up, add the butter one chunk at a time, stirring completely after each addition. 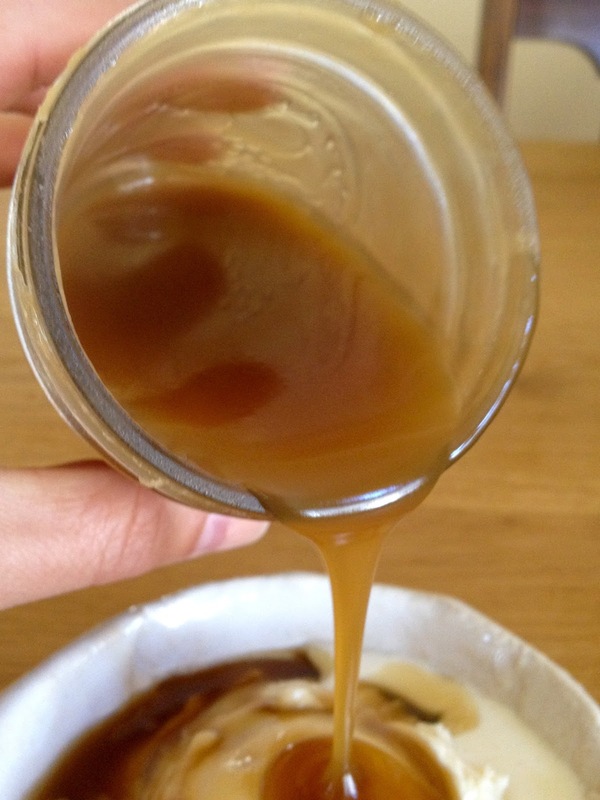 The caramel sauce will keep in a sealed jar in the fridge for up to a month, but, like I said, if you use it right away, it'll do that melty fresh thing on your tongue. Can't beat that. For real.